HS-TKW 777-300ER Thai Airways has been delivered, so expect her in MEL and BNE in the next few weeks. VT-ANR 787-8 Air India has had her 1st flight & should be delivered in the next couple of weeks. PK-GPT A330-300 Garuda has recently visited MEL several times, & PK-GPU isn't far off delivery either. 9V-SSD A330-300 Singapore Airlines is due to be delivered soon too. VH-YIZ Boeing 737-800 Virgin Australia is en-route Boeing Field - Lihue - Nad - Brisbane, on delivery to VA. Due into BNE at 1530 this afternoon. Qantas Boeing 737-838(WL) VH-XZN is enroute Boeing Field - Honolulu as 'QF6024' on delivery. Virgin Australia Regional Fokker 100 VH-FZI is scheduled to depart Denpasar Bali for Perth as 'VA9951'. This is the newest Fokker 100 for delivery. The ETA is 1652hrs LT tomorrow afternoon. Virgin Australia ATR-72 VH-VPJ is on delivery and is enroute Halim Perdanakusuma - Perth as 'SXI1417'. The ETA is 2338hrs LT tonight. According to Australian Aviation Virgin Australia's latest A330-200 VH-XFJ is due to be delivered at the end of this month and is due to be flying by the first week in October. James L wrote: Expect Tigerair VHXUH to be delivered within the next week or so. This aircraft has now been cancelled from the register. This aircraft carries modifications similar to those QF frames that have LED lights etc. VH-XFJ is currently on her delivery flight from SIN-SYD as VOZ9014. Air NZ's latest 77W ZK-OKS is currently on her delivery flight from Seattle. Keep an eye out for her Brisbane & Melbourne. ANZ B789 ZK-NZF should follow very soon! One for Sydney and Perth to look out for! Qantas Boeing 737-838(WL) VH-XZP msn 44577 is scheduled to be delivered to the airline on 19NOV14. 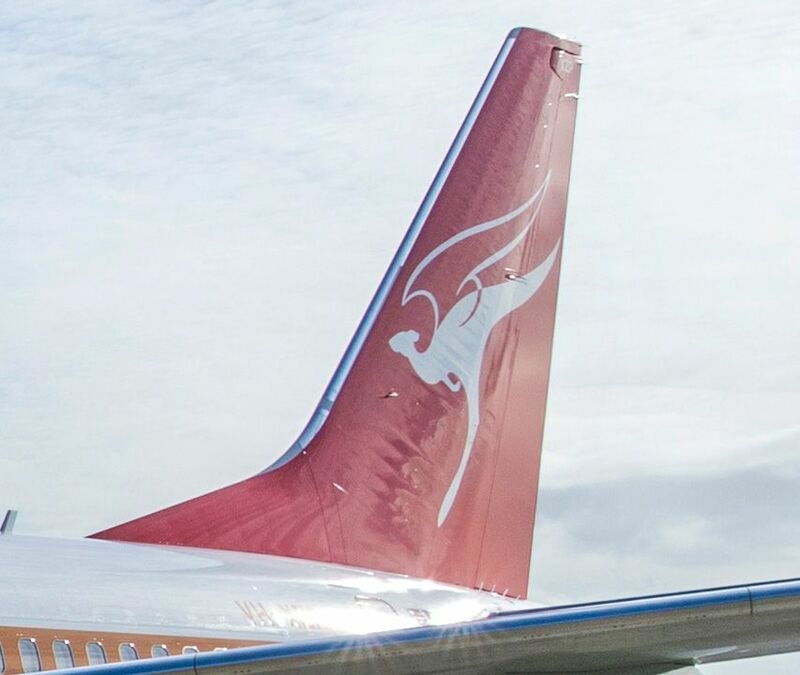 This aircraft will wear a special 'retro' livery celebrating the 70th anniversary of the first time the kangaroo was placed on the tail of their aircraft. 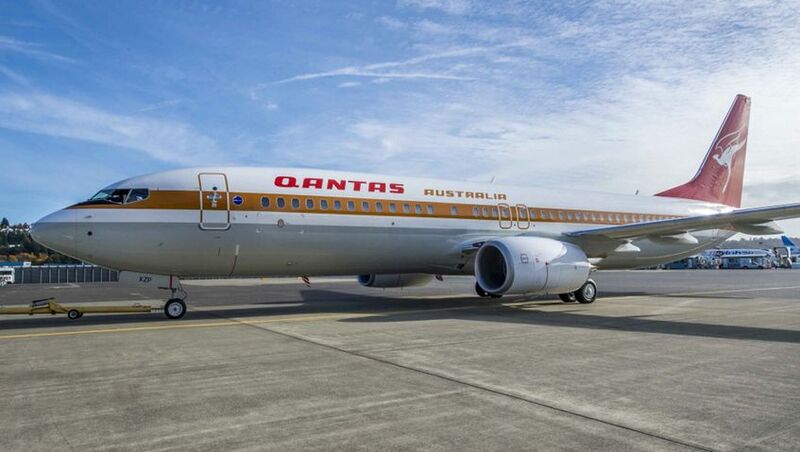 This will also be the 75th and final Boeing 737-800(WL) they will receive. The aircraft has now been revealed in its new colours.